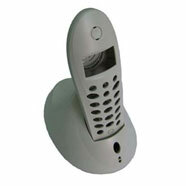 Custom plastic housing parts refer to the main body or enclosure of a plastic product. Almost all the plastic products you find in the market have their special cases. Custom plastic housing parts require an injection mold, a professional mold maker would design and make the mold base on the quantity demand, finish etc. Good quality and competitive price are all important considerable factors, a family mold might have higher productivity but the initial mold cost would be unbearable for a low volume injection molding project. 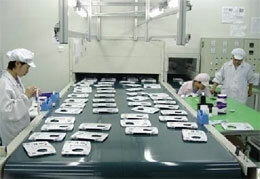 Custom plastic housing have a wide application, here are some common cases you see in daily life. Plastic phone housing parts, this part made in ABS resin by a family mold. 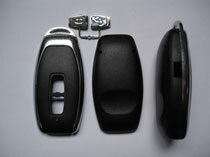 This is a custom housing part for car keys, made in ABS black, most of the housing parts have nice decoration besides function. This housing part made for car keys has a chrome painting component assembled together, it looks much better. The are many other ways to do decoration for plastic housing parts besides painting, these are iPhone case part, on the surface of the housing, you can have Landscape, People by printing process after injection molding. 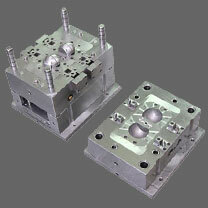 Aco Mold provides one stop services from mold making, injection molding, painting, printing. 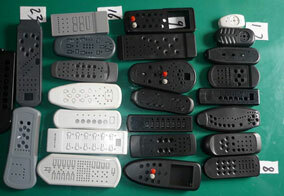 These are custom plastic housing for remote controller, there are pretty much the same size and same structure. There is a little story, my customer David used to ask me why l got a bunch of mold quotations and Aco Mold are the most competitive one? I can tell you the truth is that your mold supplier did not want to save you money or simply over-charged you. For these parts have similar size and structure, the mold base (mold pockets) can be just alternative, which means if your supplier have experience of remote controller housing molds, they could just use the existed mold pockets. 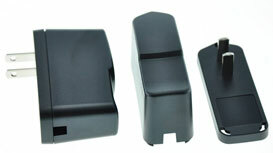 These are custom housing parts for chargers, the charger have 2 metal feet that connect the power, during injection molding process, you need an insert mold, and you need to put the metal feet into mold manually between each molding cycles, this could be labor-intensive job , it would be a good choices to find a Chinese molding supplier to do it.